Air Tractor, Inc. announced today its participation in the Special Operations Forces Industry Conference (SOFIC), 21-24 May 2018 in Tampa, Florida. During the conference, Air Tractor’s AT-802U Multi-Mission Aircraft will be on static display adjacent to the Channel Entry and Sail Pavilion at the Tampa Convention Center. This first-of-its-kind exhibition will allow SOFIC attendees direct access to the aircraft’s wide array of mission systems, sensors and armament. Air Tractor representatives will be on hand to provide information about the AT-802U to help conference participants gain an appreciation of its best-in-class payload and endurance. “We are very enthusiastic about our participation in SOFIC. The AT-802U Multi- Mission Aircraft, along with the AT-802L Longsword, are both uniquely able to contribute to USSOCOM and AFSOC foreign internal defense (FID) and combat aviation advisor (CAA) missions, as well as direct action missions against our nation’s most dangerous terrorist threats,” said Jim Hirsch, President of Air Tractor. Even while carrying all these sensors, five additional wing stations will be loaded with precision munitions. This configuration effectively meets the operational needs of US Special Operation Forces and US partner nations. Additionally, the AT-802U is specifically designed for austere field operations and benefits from Air Tractor’s existing international sustainment system. Drawing on a 50-year heritage of rugged, reliable, and cost-effective made-for- the mission aircraft, the AT-802 Multi-Mission Aircraft Series is a versatile aerial solution for managing evolving security environments. 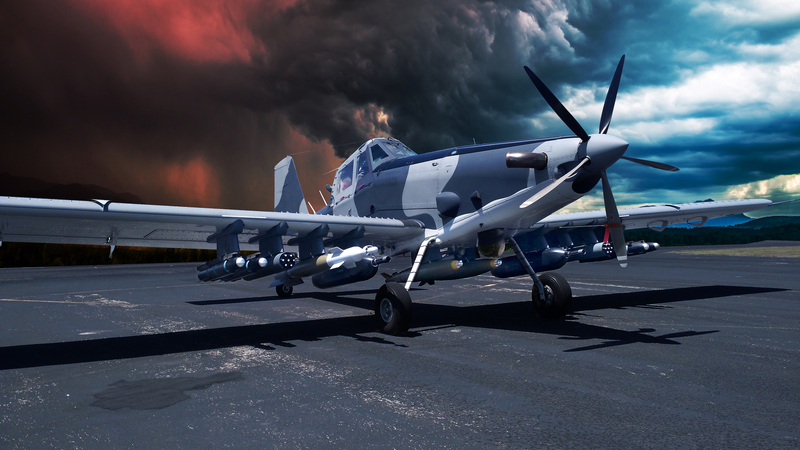 From illegal border crossings, narcotrafficking and wildlife poaching, to food security and wildfires— the AT-802U provides unrivaled versatility, performance and value.